The Pavati Warrior™ marks a revolution in fishing drift boats. Designed and engineered by computer, each hull is run through a series of hydrodynamic tests to ensure the least possible amount of drag while still ensuring the fast response and nimble performance you demand. This result is the best-rowing, most comfortable, user-friendly and reliable drift boat in the world. 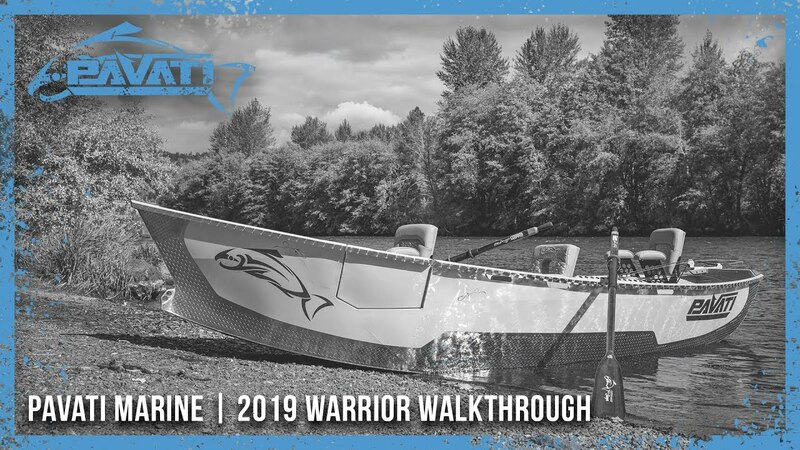 The Warrior™ is the most innovative drift boat ever built. Each model comes standard with all of Pavati Marine's signature features such as Drifter Doors™, True Level floors that are 100% removable for easy cleaning and much more! From there you can customize any size of your Warrior™ with Pavati Marine's endless list of optional upgrades and accessories.